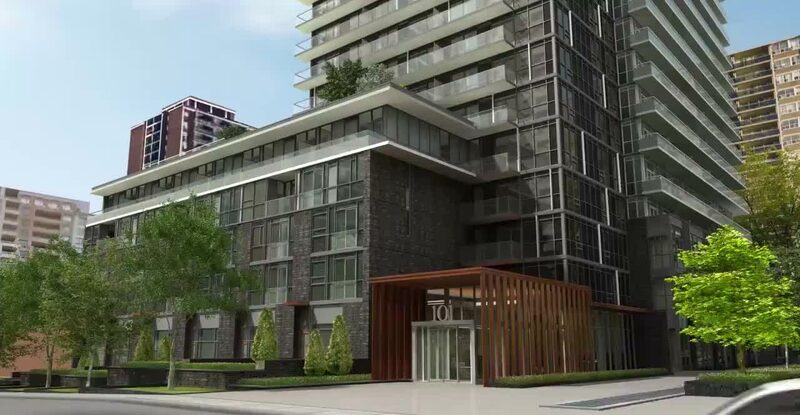 Following the extraordinary sales success of the elegant Republic condominium, Tridel now introduces 101 Erskine. This smartly tailored 32 storey glass condo residence with a contrasting tonal profile is strategically tucked away, mere steps from the energy of midtown Yonge and Eglinton in Toronto. Yet this venerable neighbourhood Walkscore is also just moments from the subway, prestigious shops and superb dining. The Erskine condos in Toronto is conveniently located just steps away from the vibrancy of Yonge Street. Lush tree-lined perimeters offer privacy from neighbouring residences, while a landscaped path links 101 Erskine to the residences at The Republic on Broadway Avenue — Tridel’s other prestigious midtown address. Front yard lock stone walkways accented by green garden space, flowering shrubs, clipped hedges, ornamental trees and automatic irrigation system for planted areas.